Looking for fun events on the Vaal River for you and your friends / family to attend? 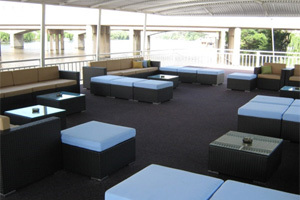 Book a table for our next Sunday Lunch Cruise aboard the Liquid Lounge! 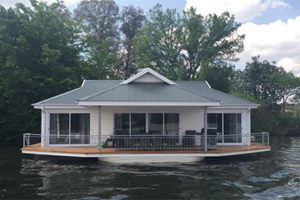 The Liquid Lounge is a spectacular river cruise boat that cruises down the beautiful Vaal River, offering guests an enjoyable and memorable day out. Our Sunday Lunch Cruises are usually coupled with some relaxing live entertainment to set the perfect mood, or a wine tasting, depending on the event. 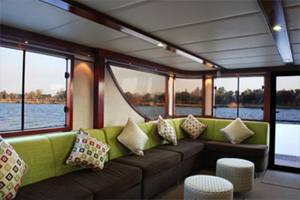 For more information about our Vaal River events aboard the Liquid Lounge, contact us today. A team member will provide you will all the information and pricing you need. You can also view our upcoming Sunday Lunch Cruise dates and events on our website. 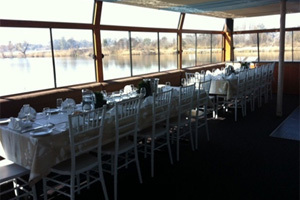 Breathtaking scenery: Cruising down a calm stretch of the magnificent Vaal River, the Liquid Lounge offers guests the opportunity to experience the Vaal River from a different view. Enjoy the beautiful surrounds and sounds of the calm water below while enjoying some much needed fresh air with your closest friends and family. Spectacular lunch buffet: Our qualified and experienced chefs will prepare a delicious buffet lunch comprising of a variety of dishes to tickle everyone’s taste buds. Enjoy our mouth watering meat dishes, freshly prepared salads, steamy vegetables and much more. Enquire about our buffet menu for the date you wish to book. The entertainment: Depending on the Vaal River event aboard the Liquid Lounge you choose to attend, our Sunday Lunch cruises are usually coupled with a relaxing live one-man band, providing relaxing background music to set the perfect atmosphere. 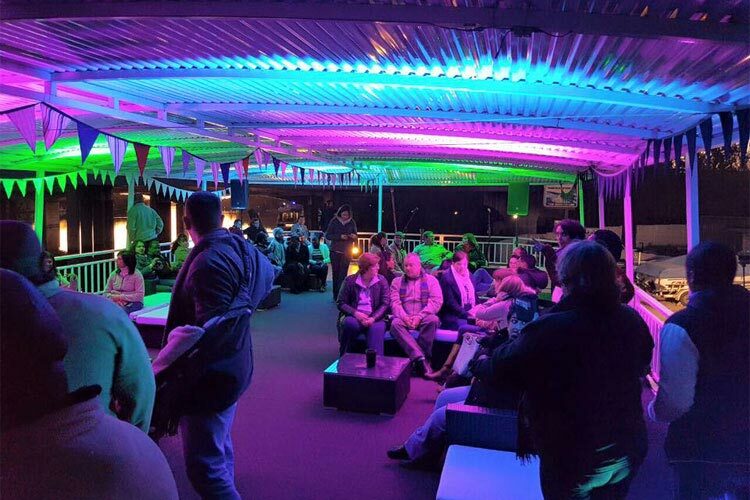 Other Vaal River events aboard the Liquid Lounge include a fun and enjoyable wine tasting, where an array of different wines and cultivars can be tasted and bought. The Liquid Lounge’s Sunday Lunch Cruise is quite a popular Vaal River event amongst residents of the Vaal Triangle and greater Gauteng region. 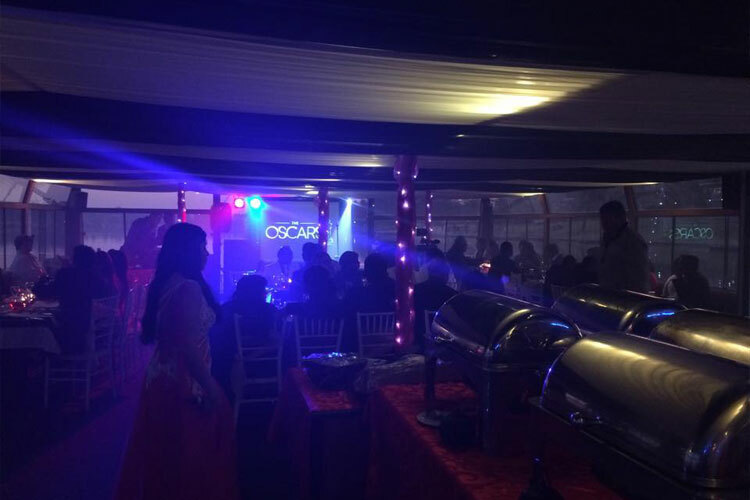 The Liquid Lounge departs from the Emerald Resort and Casino, adding even more Vaal River entertainment to your day! Try your luck in the casino, enjoy a round of miniature golf, or give it a go at the Ten Pin Bowling arena with your family and friends. 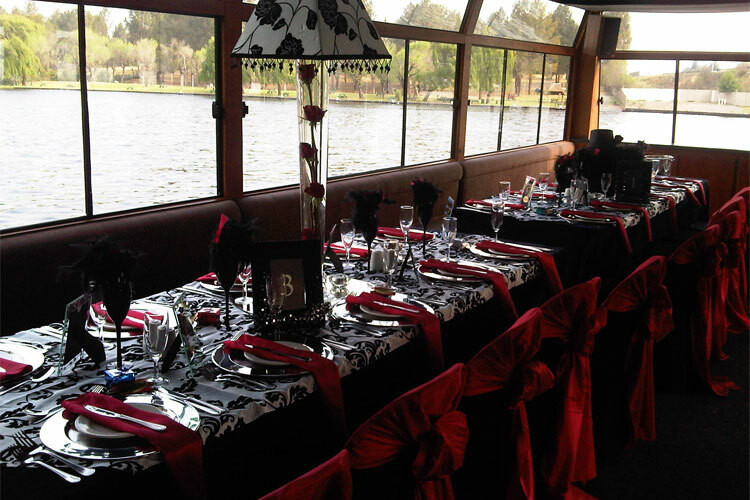 Book your Sunday Lunch Cruise today to secure the date you wish to spend on the Vaal River aboard the Liquid Lounge. Contact us today for more information and to make your booking.